When you're feeling stuck or overwhelmed, it's useful to have someone who will really listen to you; a trained professional who you can really talk to, and who can help you find clarity and focus. My role is to support you to identify where you want to be, or what you want to do. And then to help you to get there. Clients come to me to help them move forwards. This might involve increasing focus and progress, understanding motivations or building confidence. Most sessions focus on work and business related goals, but I've also successfully coached on other topics such as fitness and health. Often we combine the two, and build up self-care and resilience to free you up to succeed with your dreams. And you don't need to be struggling to have a coach. Think of an Olympian who is being coached to get even better results. That's why many leaders get executive coaches. After almost two decades working in business development, marketing, management and charity roles; I enjoy supporting others to succeed and I would love to have the opportunity to support you too. Most of my clients are in different parts of the UK (or overseas) so I usually do sessions on Skype, Zoom or FaceTime. Face to face coaching sessions are available if we can locate a convenient venue for you. Sessions usually last for an hour. Most sessions take place fortnightly or monthly but the choice is yours. We can discuss this in an introductory call, and at the end of each coaching session. You can opt for sessions during the daytime or evening on weekdays. To arrange future sessions, you can decide after each session; email me; or book using my online calendar. Whichever suits you best. We'll have an introductory call first to make sure that coaching is right for you; and that we're the right client/coach fit. During this initial call, we'll also review your aim for the coaching and discuss the options for frequency and duration of coaching, as well as the different packages you can choose from to maximise your investment. "I've achieved more in the last 2 months in my business than what I did in the rest of the year..."
"She has given me the confidence and self belief to follow my dreams... It is like having a super power balanced on your shoulder..."
"I would highly recommend Nicky to anyone looking for good quality coaching." "The coaching I received from Nicky was structured and professional. I felt at ease throughout as Nicky has a really personable manner..."
I worked in the charity sector for almost 20 years in management roles, predominantly developing relationships and income generation with businesses from a range of sectors both in the UK and overseas. During this time I delivered presentations to audiences up to 200+ delegates, delivered training sessions, and recruited and managed a variety of lovely people. As well as coaching, I volunteer with my local Riding for the Disabled group. Monthly payment plans also available. Are you a Charity Manager? 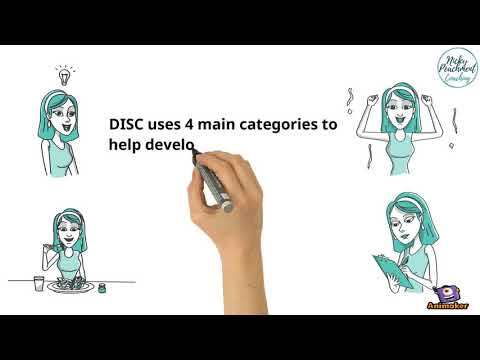 As part of my coaching development, I'm also trained to provide DISC behavioural assessments. These can be standalone, but are much more powerful if used as part of a coaching programme. Please ask me for details of this quick and effective development tool. Please watch the short animation or contact me for more information.